The electrical systems in your home can impact on your daily life, which is why we pride ourselves on providing a high-quality electrical service to the residents of Tarrant County, Texas. Our local electricians are fully trained and experienced in all electrical services, no matter how simple or complex the job may be. Whether you require electrical work in your home or commercial property, our skilled electricians can help to identify the problem and the source of the issue, fixing this as quickly as possible. We guarantee the highest standard of customer service alongside expert knowledge, for a safe and efficient result. Our Master Electrician at My Local Electrician can carry out any type of maintenance, repairs, and installations you may need, including rewiring and lighting retrofits. It is recommended that your electrical systems be regularly checked to ensure they comply with safety guidelines and work effectively. This will help to prolong their lifespan and save you money in the future. We can provide a licensed electrician to evaluate and maintain the electrical services in your home. One of our technicians will be happy to answer all of your questions and offer advice on the best course of action for any issues you may be experiencing with the electrics in your home. Maintenance and repair services are particularly important to consider throughout the year due to seasonal changes and how these affect the way you use your electrical systems. Your system needs to be reliable in order to cope with the fluctuations in use and the pressure of temperature changes throughout the year. For example, you will use lighting and heating more during the winter months and your air conditioning system will be in use more in the summertime. We can help you to prepare for these changes with repairs and maintenance at a reasonable and affordable cost. There is also a range of services that a residential electrician from My Local Electrician specializes in, including work such as installing light fixtures, ceiling fans, and new outlets, as well as smoke detectors, alarm systems, dimmers, and switches. Our Master Electrician in Fort Worth has created a team of technicians dedicated to professional, safe, and reliable services, comprised of continual development to remain up to date with the latest methods and equipment. We understand that you need to know that you can trust your electrician, particularly when it involves potentially dangerous work being undertaken in your home. Every Electrician that we employ is certified to perform electrical services in both residential and commercial properties in Fort Worth, Weatherford, Granary, Burleson and Aledo, Texas. 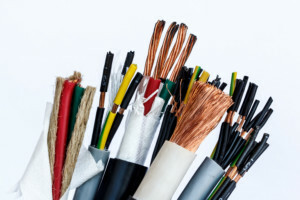 Dealing with electrics can be dangerous to both yourself and others, especially if an individual does not have the correct knowledge of wiring to complete a project. To avoid any accidents or mishaps and fires, call in a Fort Worth professional electrical contractor from My Local Electrician with the relevant experience and comprehensive ability. We have been providing electrical service in Tarrant County for three decades and are highly regarded within the industry. Our previous clients recommend our work, which represents a quality service with long lasting results. Whatever electrical problems you are experiencing, our employees can easily address them. This includes any improvements you wish to make to the electrics in your home. The work we carry out and our customer service will be tailored to your needs and based on how you use your electrical systems, to suit you. If you are based in the Fort Worth Texas area and require work to be completed on your electrical systems, do not hesitate to contact us on i[email protected] One of our staff will speak to you regarding a quote for your electrical issues and carry out the necessary work as quickly as possible, at a time that is most convenient for you. Call My Local Electrician, our highly experienced electricians are on hand to serve you! and a fully licensed electrician will be on their way in no time.